Fairview Adult Day Care Center in Brooklyn provides an environment for adults and senior to receive the stroke care they need. Life after a stroke can seem daunting and not knowing what lies ahead on the road to recovery is difficult. But knowing you will not have to face it alone makes the journey easier. The care levels required after a stroke differs from person to person. Strokes affect different parts of the brain and vary in severity. In the majority of cases, people will lose some of the skills it takes to lead a normal life. The key is to provide the care necessary to restore these skills and enable patients to return to independence. Strokes result from a disruption of blood reaching the brain, often caused by a burst blood vessel or a blocked artery. Without blood supply, the brain does not receive oxygen and other nutrients, as a result, brain cells quickly start to die. A stroke is considered to be a serious medical emergency. They range in severity depending on which brain cells it affects and how much tissue damage there is. Early treatment is important to reduce the amount of permanent damage sustained. Delays can lead to more serious outcomes, including brain damage and death. For survivors, temporary or even permanent disability is a possibility. In these cases, long-term stroke care will be needed. When someone has a stroke, there are a number of problems that occur. Paralysis on one side of the body can affect the face, arm, and leg. Difficulty with talking and swallowing are also experienced. But a stroke does not just cause physical damage. Understandably, it also takes a toll on people mentally. Emotional outbursts are common with sudden unprovoked bouts of laughter or crying. Having to rely on help from family and friends can create feelings of helplessness. Depression is common. Expert stroke care is vital to recovery. But it’s also vital to get care with a team of professionals who are able to offer emotional support. This is why Fairview ADC offers a range of therapy and rehabilitation services to help facilitate recovery. 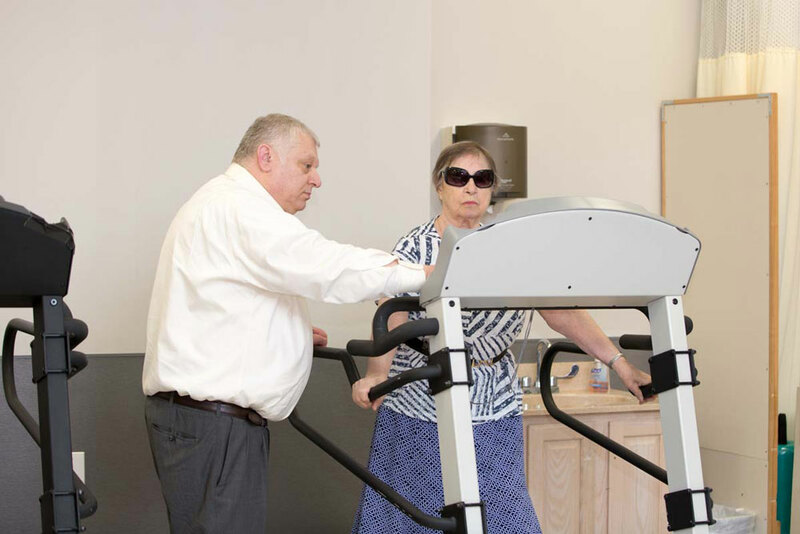 Rehabilitation can take weeks, months or even years after a stroke. It can seem like an impossible battle. But with Fairview’s skilled physical and occupational therapists behind you, they will ensure you have the motivation to keep going. Physical therapy aims to strengthen muscles and regain movement. It may seem like progress is slow, as sessions can consist of repeating the same movement over and over again. However, using different techniques from electrical stimulation to treadmill work, you will gradually notice improvements in your physical abilities. Occupational therapy is about relearning everyday activities you once took for granted. Approaching things like bathing or getting dressed in a different way can make it easier after a stroke. Through one-on-one sessions to group discussions, you will also see an improvement in your cognitive ability. The goal is to help you better cope with everyday tasks and give you your independence back. Recovery from a stroke can be a very long journey, but not one you need to take alone. Fairview ADC offers you the opportunity to share your experiences with others and receive the best stroke care possible. Read the testimonial.